One of the additional disadvantages of the wrong decision of DG SANCO to open a backdoor for re-assessment of pesticides in 2008 based on old rules (Resubmission), is chemical industry put very controversial chemicals on this backdoor-list like 1,3-Dichloropropene, Metam, Bifenthrin and Methylbromide. This is not only a waste of time which could be spend better on assessing other pesticides, but also allowed chemical industry to start big lobby campaigns for approval, involving farmers. Ministries in Spain, Italy, Greece, Portugal, but also France and Belgium, sensitised by this lobby, supported the approval of 1,3-dichloropropene. Not so much health (1,3-D is a carcinogen) or environment (hundreds of liters of 1,3-D evaporate in the air) mattered much in this discussion but mainly if the national farmers liked to use the chemical. 1,3-dichloropropene was used in Europe by 10th of millions of kg’s for many years as soil fumigant. It was the expression of how agriculture was perceived after WWII, trying to disable all natural elements as much as possible. This paradigm also considered soil’s only purpose as carrying the roots of the plant and for the rest no relation of agriculture with natural elements was needed. The ultimate aim was completely get rid of natural elements and grow plant above the soil in water, adding fertilizers and other elements without any influence of weather or sun. This ultimate aim is realised in glasshouses nowadays for several crops. The only ‘problem’ left is glasshouses still rely heavily on fossil fuels. For open field crops this ‘paradise’ situation is not realised yet. But still a big group of crop growers live in the dream of the old paradigm. Especially in the case of monocultures (maize, potatoes, flower bulbs are examples) soil-bound pests are the big challenge and many farmers like to use soil fumigants every few years to ‘reset’ their soil. The new policy of Integrated pest management in the Sustainable Use Directive (IPM, standard in the EU from 2014 on) is winning ground only slowly but should end this totally unsustainable practices. Allowing the soil fumigant would reward the back laggards and would stop any change towards alternatives (crop rotation, resistant varieties, healthy soils). The standing Committee couldn’t decide on 1,3-dichloropropene summer 2010, and even the Agriculture Council couldn’t get to a majority (against or for) end November 2010. This means Commission can decide and luckily Commissioner John Dalli kept to a no. This time health and the environment prevailed over commercial interest in a narrow escape. Even the old Directive states the prevailance of health and the environment over commercial interest is a matter of principle. But the contrary is seen many times in Brussels arena. So a double remarkable achievement of Mr. Dalli and his cabinet. Thank you Mr. Dalli!! 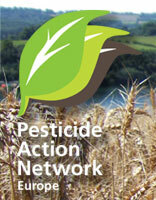 Sustainable Use Directive on pesticides, 2009/128/EC. Heavy industry pressure causes DG SANCO to put all energy in re-assessing pesticides on the basis of old rules (Directive 91/414) and neglect working on the evaluation of pesticides under the new regulation 1107/2009. 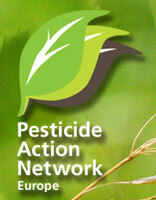 The first 39 active substances (pesticides) to be evaluated according to the new rules and criteria in 2011/2012 will not be assessed, but only end 2015. Silently Commission published a Directive prolonging the use of this 39 substances and its hundreds of pesticides formulations based on it in Europe. Greenpeace and PAN-Europe decided to make a formal request to Commission to re-consider this decision, illustrated for the substance Glyphosate. The approval of Glyphosate can be shown to be based on very old tests of industry and of unknown quality and reliability. The enormous amount of scientific open literature is also not taken into account. A revision is urgently needed. A number of epidemiological studies have linked exposure to glyphosate to non-Hodgkin’s lymphoma and multiple myeloma (Chemtrust, 2010). Richard et al. (Richard S., Moslemi S., Sipahutar H., Benachour N. and Seralini G-E., 2005. Differential effects of glyphosate and Roundup on human placental cells and aromatase. Environmental Health Perspectives 113: 716-20.) demonstrated glyphosate acts as a disruptor of mammalian cytochrome P450 aromatase activity from concentrations 100 times lower than the recommended use in agriculture; this effect is noticeable on human placental cells after only 18 hr, and it can also affect aromatase gene expression. The effects are amplified by adjuvants in the formulation Roundup. 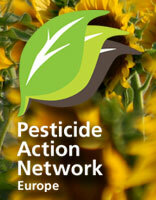 The adjuvants also cause Glyphosate to be more bioaccumulative. Richard concludes Roundup to be an endocrine disrupting formulation. Moreover, at higher doses still below the classical agricultural dilutions, its toxicity on placental cells could induce some reproduction problems. The authors suggests there research also might explain premature births and miscarriages observed in women farmers using glyphosate. In a subsequent study Benachour (Benachour N. and Seralini G-E., 2009. Glyphosate formulations induce apoptosis and necrosis in human umbilical, embryonic, and placental cells. Chemical Research in Toxicology 22:97-105) studied for the first time the mechanism of cellular action of different Roundup formulations on human cells, from placenta, embryonic kidney, and neonate. The four Roundup herbicides and Glyphosate alone cause cellular death for all types of human cells, with comparable toxicity for each one but at different concentrations, the most toxic corresponds approximately to 47 μM Glyphosate (8 ppm) with adjuvants. 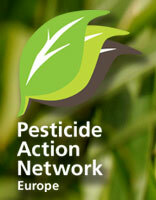 The effects of Glyphosate should in fact always be assessed together with the adjuvants. Paganelli et al. (Paganelli A., Gnazzo V., Acosta H., López S.L. and Carrasco A.E. 2010. Glyphosate-based herbicides produce teratogenic effects on vertebrates by impairing retinoic acid signalling. Chemical Research in Toxicology 23:1586-95) showed in a recent study direct effect of Glyphosate formulations on early mechanisms of morphogenesis in vertebrate embryos. Paganelli showed that sublethal doses are sufficient to induce reproducible malformations in Xenopus and chicken embryos treated with a 1/5000 dilution of a formulant (equivalent to 430 μM of Glyphosate) or in frog embryos injected with Glyphosate alone (between 8 and 12 μM per injected cell). Given the many negative side-effects any prolonging of market access is putting citizens and the environment at an unknown but possibly grave risk. 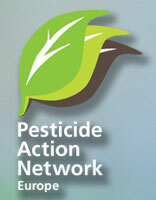 The pesticide approval system is heavily relying on the science the decisions are based upon. Up to now, mainly tests performed by chemical industry are considered in the evaluation. Scientific journals, where independent scientists use to publish their articles on, are not considered on a standard base. 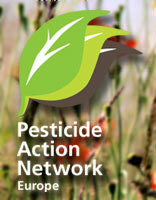 PAN-Europe made a comparison between the long-term tests of a few pesticides. This long term test leads to a NOAEL (concentration considered to have no negative effects on the studied animal) based on this test, PAN-Europe compared industry tests and open scientific literature. Remarkably in many cases a lower (more toxic) effect could be found looking at the open literature. Independent literature shows Carbendazim is a very dangerous chemical toxin, causing malformations in the foetus at very low doses and it is not known if a safe level exists. Carbendazim is capable of disrupting chromosome unfolding, can cause infertility and cancer. People are exposed to Carbendazim in food (2-4% of all tests are positive) and health standards are exceeded in cucumbers, mandarins, pears and oranges. Pears from Spain and Cyprus are contaminated most, possibly by illegal use. Industry tests of Du Pont to get an approval in the EU are very incomplete and the level of genotoxic impurities is unknown. Du Pont additionally didn’t supply available mutagenic studies, thereby misleading regulators. Germany, acting as the Rapporteur country, did very much her best to keep the chemical on the market and to condone uncertainties and data gaps. The data gaps in the dossier in fact don’t allow market access legally at all. Germany further promoted a theoretic approach favoured by industry lobby club ILSI to allow an impurity at a level where mutagenic effects are observed. Carbendazim is very dangerous for waterorganisms and even a buffer zone of 20 meter is not protective enough according to EFSA. Alternatives for Carbendazim are available. Being mutagenic plus reprotoxic, Carbendazim will be banned immediately under the new rules of Regulation 1107/2009 which enter into force June, 2011. It would therefore be a grave disrespect of citizen’s health and the environment if it would still be allowed on the market by Council just one day before this Regulation enters in force.